The Paris Agreement adopted in December 2015 during the COP21 climate conference stipulates that the increase in the global average temperature is to be kept well below 2°C above “pre-industrial levels” and that efforts are pursued to limit the temperature increase to 1.5°C above “pre-industrial levels.” Closer inspection of the treaty text, however, reveals that the term “pre-industrial levels” is nowhere defined in this epochal UN-document, that has meanwhile been ratified by 170 Parties. This is particularly odd because the “pre-industrial” temperatures of the past 10,000 years have varied quite significantly, as meticuloulsy documented by hundreds of paleoclimate studies. Puzzled by this apparent gap in the Agreement, Fritz Vahrenholt went out and researched the history of the temperature limit definition. 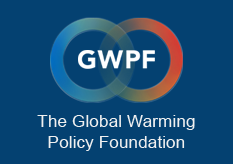 The former renewable energy manager and current head of the German Wildlife Foundation was surprised to find that the initial description of this important climate goal dates back to the mid 1970s, proposed by an economist, by the name of William Nordhaus. Nordhaus’ idea was as simple as effective: He looked at the maximum temperatures recorded during the past several hundred thousand years and warned that this natural range should not be exceeded in the future. Two decades later, in 1995, the German Advisory Council for Global Change further refined this concept, but kept Nordhaus’ original idea of a tolerable ‘temperature window’. In order to better understand the complex pre-industrial temperature history of the past, Vahrenholt teamed up with Sebastian Lüning, a professional resources geologist who in his sparetime works on paleoclimatological studies with the Switzerland-based Institute for Hydrography, Geoecology and Climate Sciences. Lüning researched the literature and integrated the Paris Agreement 2.0°C and 1.5°C temperature limits into the climate development of the past 2000, 10,000 and 120,000 years. On an even longer time scale, it is found that current temperatures have not yet even exceeded the warmest temperatures of a natural warm phase that globally occurred some 7000 years ago, the so-called ‘Holocene Thermal Maximum’. Global temperatures may have even partly exceeded the 1.5°C limit during this warm phase, when combined land and sea surface temperatures are taken into account. The increase in this natural temperature window and the baseline shift potentially enlarges the headroom for the 1.5°C temperature limit of the Paris Agreement which deserves further study. Nevertheless, the two researchers caution that the upper ceiling of the 2°C limit is not affected by this, because it is represented by the even warmer climate of the last Interglacial, some 120,000 years ago. The 2°C limit therefore remains valid, especially because sea level was 5-7 m higher than today during this time, which would have serious consequences for modern life if repeated today. The study that was published on 12 December 2017 in the journal ‘frontiers in Earth Science’ reminds policymakers, scientists and the public that the “pre-industrial” times cited in the Paris Agreement involve a dynamic alternation of warm and cold phases which need to be viewed in context. The Little Ice Age that ended around 1850 AD does not represent a suitable reference level for the 20th and early 21st century warming as it fails basic scientific baseline criteria.